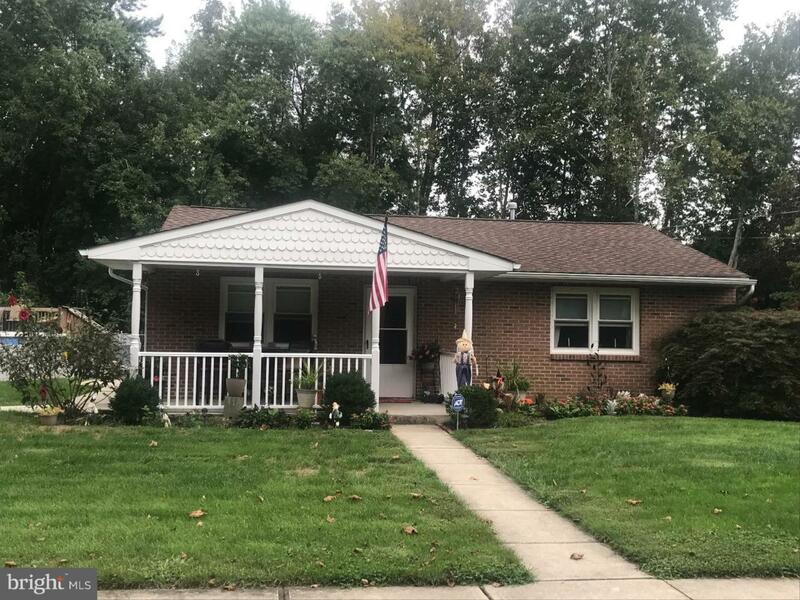 This immaculate ranch home located in a desirable section of Delran Township, can be found on a secluded dead end street backing to woods for additional privacy. Spend an evening with friends on the front porch or host a party on the back patio. Winter/Summer....you're covered; you can enjoy an above ground salt water pool with deck, a tiki bar and a full brick fireplace for those cool evenings. The property houses a brick storage shed to protect your pool equipment and toys; an additional permanent shed; a 4 car driveway, and plenty of room for outdoor games. The showcase of the living area is a full wall, wood burning, brick fireplace. This home boasts a new master suite addition and a remodeled kitchen. Don't wait, this one won't last long! Listing courtesy of Pacesetter Realty.